The way to find out the Numerology of your house is quite simple. Get the number to your house and add it together to a single digit. For Example is your address number is 1234 Anything Street. You simple add (1234= 1+2+3+4 = 10=1) so here we have a house number of One. If you live in an apartment building, then use both number to make your single number. For example if you address is 2150, apt 20 Anything Street then add up (2150 & 20 = 2+1+5+0+2+0=10=1) to get your single number of One. By simply adding 2+1+5+0 you will get the energy of the building and with your apartment number added to the building combines the energy of the building and the apartment. 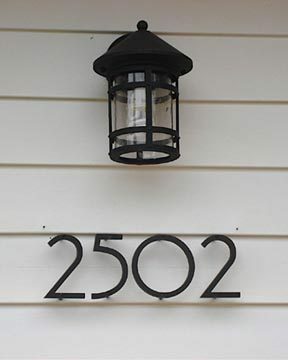 What does the house numbers mean? Each house number has both positive and negative traits. The trait in which you see the house is up to you. For in other realities there is no negative or positive there just IS. How you perceive the energy is up to you, and only you. If you find that the negative traits are overwhelming, then you should try a house clearing to remove or break up the stagnant negative energy. 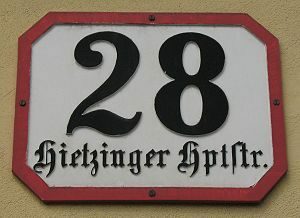 The positive energy vibration of this house is that a House number 1 creates good energy and has many positive vibrations. This house caries with it an inventive energy that needs someone who likes to set trends. Lots of sunlight is a must for this positive vibration to occur. If you are lacking in natural sunlight, then I would suggest getting some natural lighting light bulbs. This house can evoke selfishness and snobbery. It is also suggested that you keep an eye on the candles in this house for One houses are prone to fires. Make sure you fire alarm batteries are always up to date, even better, get the wired fire alarms. Positive Colour Suggestions: Yellow, Gold, and Orange. Here is a house that creates peace, harmony and balance in anyones lives. It is a house suited for relationships, and people who are laid back and friendly. This is a great home for new lovers or people who have lived together for a long time. It will aid in the balancing of any relationship. However sometimes we are so laid back that one may call it laziness. So dont forget to get off the sofa and DO. Do what needs to be done to fix the creaky floorboards and cracks in the pavement with this house. Positive Colour Suggestions: Cream, Green and White. This house is one of the happiest ones with a welcome sign on the door. This is the social house. It is a house that is very creative and suites creative tenants. With its unusual design it is the perfect house for entertaining both indoors and outdoors. If you like quiet, do not live next to a three house. For this is a house filled with noise, laughter and extravagant expression. People who live in a three house like to invest within the decorating causing a cluttered and odd style within its interior. Positive Colour Suggestions: Mauve, Lilac, calming blues and violets. This house is one of order and neatness. Most of the repairs are up to date. For this is the house of the builder or professional who likes to climb the ladder of success. To calm the sense of authority this earthly house does well with a lot of indoor plants. Watch for structural problems with this house. Positive Colour Suggestions: Blue and gray muted colors, along with the greenery from all the plants. This is the house of a Temporary Dwelling. Most five houses have people moving in and out all the time. The vibration of a number five is that of a challenge, change and new experiences. If the tenants dont move often then they will find themselves constantly changing the decor of this home. It is perfect for an interior designer who loves to keep up with the trends, and uses their home as a showcase. People who live in a five home live for variety and that will show as each room in the house will have a variety of themes within the dicor. This house can evoke arguments and bad tempers. Positive Colour Suggestions: Green to aid with healing the changes. Most people are attracted to a number six house. It creates a peaceful and loving vibration. The tranquility of this house assists to bring out the creative, romantic and considerate natures of its tenants. Set healthy boundaries so that those around you do not interfere in your home or lifestyle. The house of the mystic. This house attracts people who are often mystical, intellectual and imaginative individuals who are seekers of a serene, peaceful environment. You may find people who live here are often quite spiritual and are in tune with their emotional side. This house loves water, so you will often find ponds, pools or fountains on the outside. On the inside, keep your eyes and ears open to watching and listening to the plumbing systems. Positive Colour Suggestions: Ocean Blues, Silver and water-colors. This house resonates with Ambition and material benefits. If you are a hard-working individual who is ambitious then this is the house for you. Your focused business nature will best suit an eight house. For this is a solid house that aids in making your goals come to reality. Outdoor gardens filled with trees, plants and flowers ad to the ambiance of this house. The natural environment of this house will aid to sooth extreme behaviors. Positive Colour Suggestions: Green, Cream, Blues and Grays. Humanitarian and Pet lovers live in nine houses. It will attract those who live to save the little guy. Medical people, visionaries and social workers love to live in a nine house. When living in a nine house, one may find that their psychic awareness develops a lot quicker. Keep it tidy and safe, for this house activates the tendencies to become accident-prone. Positive Colour Suggestions: Yellow, Pink, Violet and Indigo.